The British Guiana One-Cent Magenta is a singular object. Delicate and wisp-like yet striking in its color, it is the only surviving stamp of a limited run from 1856. Shrouded in more mystery than one might expect of a 26-millimeter-tall stamp, its story brings together an unlikely cast: a twelve-year-old schoolboy; an Austrian nobleman; a textile tycoon and his entrepreneurial widow; a collector who traveled the world with the stamp handcuffed to his wrist; and a convicted murderer who died in prison just four years ago. Rumor has it that a second surviving stamp surfaced in 1938, only to be burned to ash immediately upon purchase. The mythology of the One-Cent Magenta will evolve yet again on June 17th, 2014. For the third time in its 158-year history, it will become the most valuable object by weight and size ever sold—fetching an estimated $20 million dollars. When our friends at Sotheby’s invited us to a private viewing of the world’s rarest and most infamous stamp, we knew a collaboration bringing together the oldest and newest postal services could be really special. 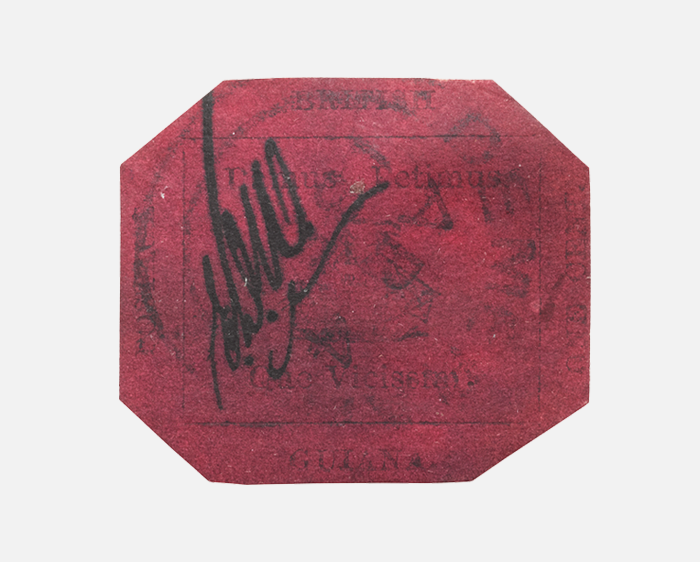 To celebrate the historic auction, the One-Cent Magenta stamp will be available to Paperless Post users to use on their online mailings for the duration of the exhibition (June 3rd–17th). 4. 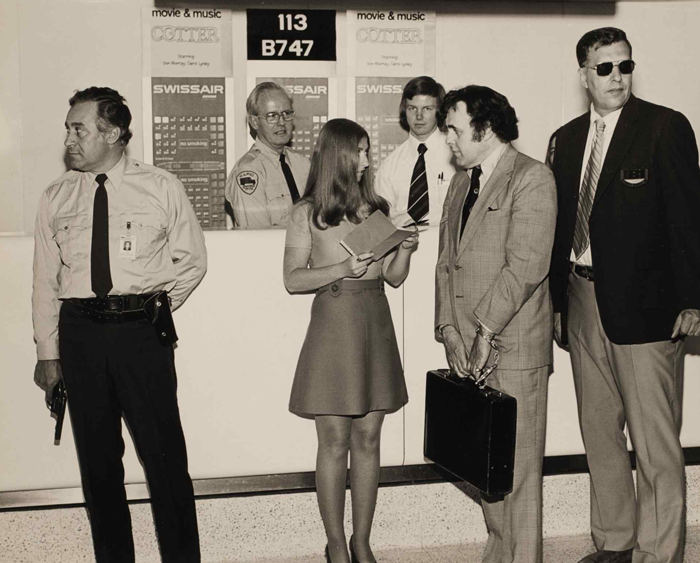 Irwin Weinberg (owner 1970–1980) traveling with the stamp in a briefcase handcuffed to his wrist and security detail.